Australasia had a great time in the pond area. They looked at all the different creatures and plants in the pond and then researched what they found using the internet. Amazingly, they caught some newts! 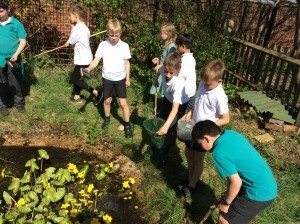 As these are protected creatures, they had to be very careful when looking at it, and they discussed the importance of looking after this special area of the school.